Pharmacists are often the most readily available healthcare resource. Equipped with a deep understanding of medications and treatments, along with allergens, drug interactions and contraindications, pharmacists promote greater health awareness with everyone who enters the pharmacy with a prescription or question. Pharmacists have a vast array of resources at their fingertips to help you feel confident and achieve the best results from your medications. Selecting a new over-the-counter (OTC) product.Pharmacists provide advice on which OTC products are best suited to address your specific symptoms and conditions. The most common questions are about seasonal and cold and flu medications, allergy products and concerns from pregnant and nursing moms about themselves and their children. Concerned about potential drug interactions, particularly between prescriptions and any new OTC product you’re considering. Pharmacists can help ensure you’re using products safely and effectively. It’s important to always have an up-to-date list of your medications with you in case of emergencies, including OTC medications. Get all your prescriptions filled at one pharmacy to allow the pharmacist to have a full picture of your health and minimize confusion with refills. Don’t keep old medications you’re no longer using. Dispose of them properly at one of the green Hennepin County medicine drop boxes, located in the lobby. If you’re unable to get to a drop box, you can also mix the medicine with food waste and place the mixture in a sealed container in your trash. Never flush medicine down the toilet as it can potentially get into drinking water through the sewer or septic system. Consider convenience packaging. To help ensure you’re taking the right medications daily, convenience packaging sorts and organizes your monthly prescriptions, OTC medications and vitamins into convenient single doses so you never have to worry whether you’ve taken your medications as directed. 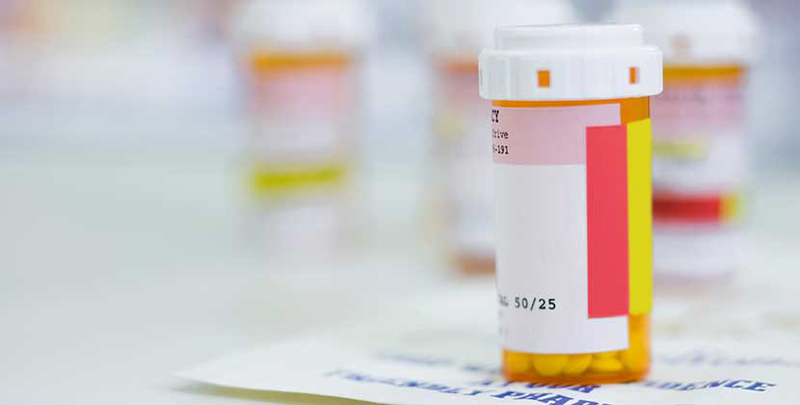 Pharmacies automatically dispense generic medication, if there is one available, unless the prescription specifies to dispense “as written” or the brand name. Both prescription and OTC generic medications are equally as good in quality as the brand version. The Food and Drug Administration certifies that all generic medications are exactly equivalent to the brand version. North Memorial Health clinics offers Medication Therapy Management (MTM) using a team approach with clinical pharmacists available to review current medications and ensure you are taking the right ones at the right times. They also work to ensure medication routines are safe, effective and convenient by looking at when medications are taken, what they are taken with and whether there are opportunities to better fit into your daily routine and lifestyle. No referral is needed and, in most cases, your insurance will cover the cost of this service. Schedule your Medication Therapy Management appointment at a North Memorial Health clinic by calling 763-581-2153. Read More about Complete care for Women. Understanding your health risks. [Read more] about Complete care for Women. Understanding your health risks.